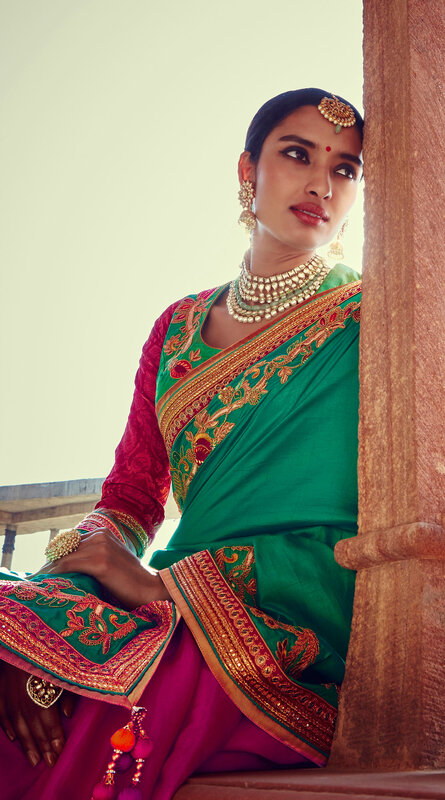 Look upscale adoring this beautiful pink - green color saree in half and half style. 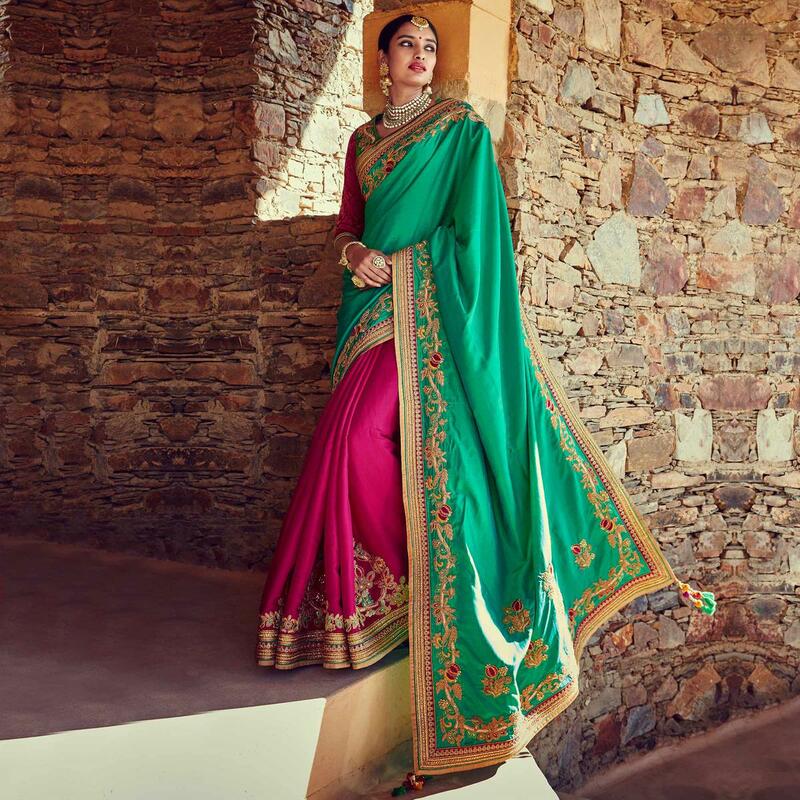 This designer saree has got green silk fabric pallu and pink tussar silk skirt both embellished with zari resham embroidery stone and sequins work done in the form of floral and leaf pattern. The eye catching traditional design patch border and tassels at the end of short pallu adds to the overall look. Available with matching color banarasi silk embroidered blouse having viscose sleeves.